When I do finally get a grandchild, I'm going to be Grandma Pinky. 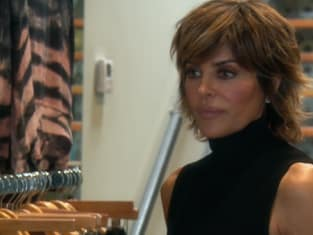 The Real Housewives of Beverly Hills Season 7 Episode 7: "It's Expensive to Be Me"
It's expensive to be me, looking this good don't come for free... that's definitely true. Permalink: It's expensive to be me, looking this good don't come for free... that's definitely true. Are we taking the Bentley, mom? Permalink: Are we taking the Bentley, mom?